As you might have guessed, the word “cryptocurrency” is a combination of “cryptography” and “currency.” Despite this fact, many people still do not fully understand what cryptography is and what its connection is to cryptocurrency. So, here is a closer look at cryptography, and how it is used in regards to cryptocurrency. Cryptography is essentially the practice of encrypting certain data or information so that it can be kept secret from third parties. Cryptography has been used for everything from the Allied forces sending military messages back and forth during WW2 to Julius Ceaser using ciphers to send encrypted messages to his generals during ancient times. Cryptography is often needed to prevent sensitive data from being compromised and stolen by people who are not meant to see it. This data can be military, financial, scientific, mathematical, medical, etc. in origin. There is an incredible amount of reasons why many different people need to keep certain information secret. Some information, if exposed to the wrong sources could even be a threat to national security. For example, nuclear launch codes, or the passwords to the entrances to weapons or infection disease holding centers like CDC testing facilities and things of this nature all need to be kept secret to protect national security. Cryptography makes it possible for only the appropriate people to have access to the sensitive information of relevance. There are many different ways that cryptography may be applied to a piece of data. Before the days of modern technology, transposition cyphers were used to rearrange the letters in a message. For example, a message that read NRGEE SRGAS may be put through a transposition cypher to reposition the letters so that they read GREEN GRASS. This is a very basic use of the concept of cryptography. However, it was very popular in ancient times. The methods of implementing cryptography to data have become significantly more complex. Now, incredibly complex computer and mathematical technology can be used to encrypt data in more complicated ways than ever before. Some of this technology is now being used for modern day cryptocurrencies. No matter how complicated the cryptography is, it always works on the same basic principle; encrypt data and hide its true meaning so that only a person with permission can decipher it. Public key cryptography involves a user having both a public and a private key. Both are encrypted and are a random assortment of numbers and letters that looks something like this: HUorgIOJin7U9NO0hjmnhnuU65Gh87. These keys tend to be around 30 letters/numbers long. The purpose of the public key is to give people an address to send money to. The purpose of the private key is to unlock the public key in order to receive the money that has been sent. In this way, only the person who knows the private key can unlock the public key. To gain a better understanding of how this works, picture a blue metallic mailbox that is often found in public places. Anyone can put mail into these mail boxes, yet only the mail man has the key to unlock the mailbox and remove the mail. Cryptocurrency cryptography works in almost the exact same way. Anyone can deposit money to a public key/address (mailbox), but only people with the private key can access the money (mailmen). So, in the world of cryptocurrencies, it is as if everyone has their own mailbox, and key that unlocks the mailbox. This allows people to receive money and access it without other people being able to access the money. Public key cryptography is a technological marvel and it is rapidly changing the online payment industry. Perhaps the biggest vulnerabilities that public key cryptography faces are people accidentally losing their keys or revealing their private key to other people. If a person loses their private key, then they may have no way of recovering any funds that may be in his or her wallet. If a person accidentally reveals their private key information to a third party, then that third party could hypothetically access the account and steal all of the Bitcoin, Litecoin, or other cryptocurrencies that are in that person’s wallet. First of all, a person should never share his or private key information with anyone except possibly a spouse, or another person he or she trusts. Next, a person should never put up photos to social media that could accidentally reveal the private key information. For example, if you take a picture of yourself, and your private key info is written on a piece of paper in the background, this could potentially compromise your key if you posted it to social media. So you should always be wary of potentially compromising your key information. Some people also take it a step further and purchase “hardware wallets.” A hardware wallet is a small device that provides “cold storage” for a person’s cryptocurrencies. Hardware wallets completely remove one’s cryptocurrencies from the internet for storage in a similar way that flash drives remove information from a computer for storage off of the computer. Hardware wallets can add an extra layer of security and can even require passwords themselves. It is extremely difficult for a hardware wallet to be compromised. However, again, if the password to the wallet is lost, then it could potentially cause you to lose your cryptocurrencies forever. Some hardware wallets have anti-theft features which punish the user for incorrect password guesses. Punishment comes in the form of time added on before the next guess can be added on. So, a few handfuls of incorrect guesses could have a person waiting a long time before being able to guess a password again. A few dozen could have the person waiting months, or potentially even years. Another measure that is becoming increasingly popular to protect against the potential loss or theft of cryptocurrencies besides public key cryptography and hardware wallets is insurance. In fact, some of the major cryptocurrency exchanges such as Coinbase and Gemini are now advertising that they offer insurance for all of their accounts. 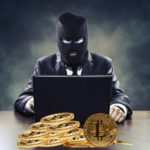 This type of insurance could help to protect cryptocurrency holders from experiencing major losses if a cryptocurrency exchange is hacked in a similar way that Mt. Gox was. When Mt. Gox was hacked, roughly 740,000 Bitcoins owned by customers were stolen. At today’s Bitcoin price (1/9/18), that translates to roughly $11 billion. Major exchanges offering insurance protection to their customers is enormously beneficial both for the exchanges, and also for the customers. It simply adds another key layer of protection. Many exchanges also keep a large percentage of their cryptocurrencies secured in cold storage facilities. This means that only a fraction of their total holdings are kept online and are vulnerable to cyber attacks. It is theoretically possible that a physical attack could occur to a cold storage facility. However, this kind of attack is significantly more difficult and poses much higher risks – such as being shot by security guards. How Might Cryptography Change in the Future? At this time cryptocurrency cryptography is working extremely well for the most part so it is unlike that major changes to the underlying public key cryptography structure will take place any time soon. In fact, it seems that more and more people will start becoming comfortable using cryptocurrencies that rely on this technology. However, because technology tends to improve over time, it is possible that someone could invent a system that is even better than public key cryptography. If this happens, then many of the main cryptocurrencies will probably be updated to incorporate the developments. This could make cryptocurrencies even more secure hypothetically. But again, for the time being, public key cryptography is working extremely well and the cryptocurrency industry is exploding. 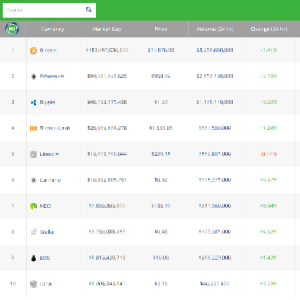 In the past year, primary cryptocurrencies such as Litecoin, Bitcoin, Ethereum, and others have all seen incredible gains as adoption rates have gone through the roof. The public key cryptography of these coins is at the heart of their strength and continues to be a major factor healing their growth. In the next decade, it is quite possible that Bitcoin or even several othe cryptocurrencies could start to seriously compete with the dollar and other fiat, paper-backed currencies. The concept of cryptography has been around literally for millennia. It has been used in many different ways by many different people for a variety of reasons. Despite the rich history of cryptography, public key cryptography-based cryptocurrencies are still in their infancy. In fact, the first cryptocurrency (Bitcoin) has only been around for about 9 to 10 years. The infinite potential of this kind of cryptography really only just starting to be realized. As more and more people start to use cryptocurrencies, a larger percentage of the population will start to understand just how valuable public key cryptography and cryptocurrencies are. For anyone who is a fan of cryptography, privacy, and security, these are very exciting times. Part of the reason why all of this cryptography technology is being developed is because there is an increased need to store, send, and receive money securely on the internet. Online banking and ecommerce are driving this need. Business and banking are both more efficient when money can safely be transferred online. Public key cryptography is doing a lot to make digital money exchanging and storing safer. Because public key cryptography and cryptocurrencies are helping to improve digital money use and storage, it is very likely that cryptocurrencies will continue to rise in popularity significantly over the next few decades. Hopefully, with improved cryptography and security measures, there will be no more major hacks in the vein of Mt. Gox.